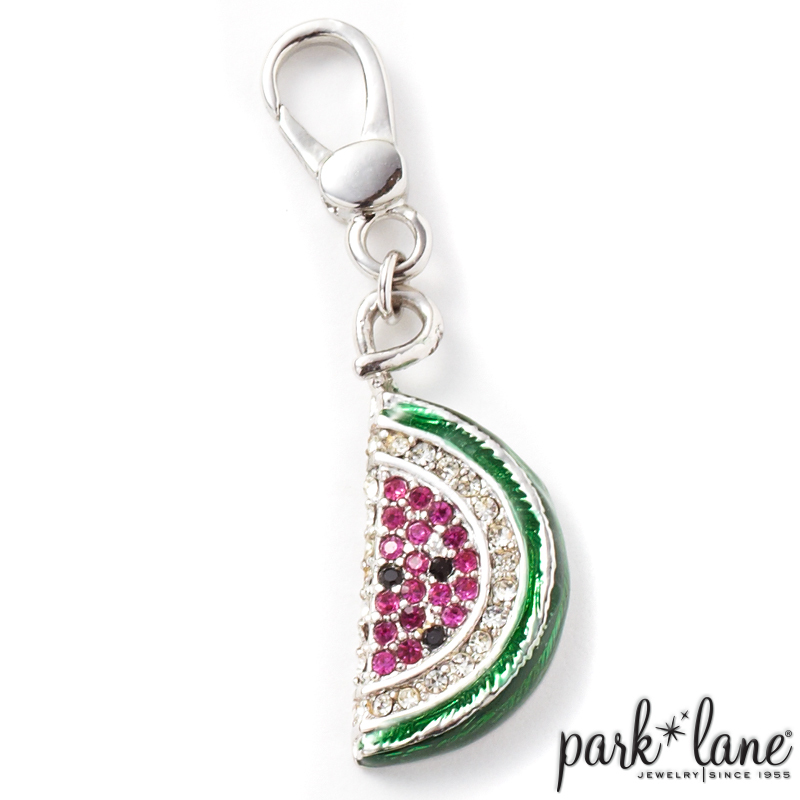 This must-have charm is a sparkling slice of watermelon, complete with all the details! Pink melon with black seeds and a green and white rind; part hand-painted enamel; part mini crystals. Watermelon charm makes a SWEET addition to every charm bracelet!